Ben Youngs, Leicester Tigers, England and British & Irish Lions rugby star kindly gives us an insight into his world through his dandelion coloured spectacles. 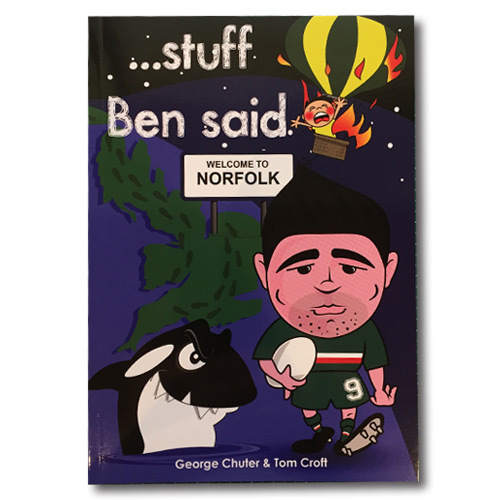 Trust me when I say, this is 100% the truth, I sometimes wish I had to embellish some of the comments in this book but thanks to the amazing genius of Ben Youngs, this book has literally written itself". Tom Croft. "I'm so bored of having chicken for dinner. Anyone fancy going to Nandos" Ben Youngs. "This book was put together by Tom Croft and George Chuter for Bens Wedding, it went down so well they felt it needed to be shared with everyone. P&P included in the price. Had me in stitches !! Great read, had me in stitches!